America’s Next Top Model is set to return again for its 24th cycle in January 2018. And this time, Tyra Banks is bringing some RuPaul’s Drag Race royalty onto her runway. The three queens who will be appearing are Mania Luzon, Katya and the polarizing Valentina, whose Season 9 elimination caused much conversation and controversy among drag fandom. “They’re so friggin’ gorgeous and can pose their asses off,” Banks told Entertainment Weekly. 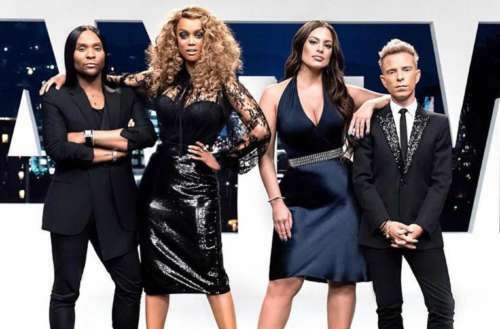 The same judges as last season — Nigel Barker, Drew Elliott and Ashley Graham — are returning. Banks is back as host after taking last season off. Last season, Banks stepped back and gave the honor of hosting to Rita Ora, while Banks continued producing the series (which began in 2003). Things didn’t seem to work out with Ora, as right after cycle 23 ended Banks announced she would return to host cycle 24. We’re gagging that three of our favorite queens will be appearing on the model reality show. It especially makes sense since both shows are VH1 properties, so the cross-promotional opportunities for the brands are endless. That also makes us remember that RuPaul hinted on the red carpet at the Emmys earlier this year that they got an even bigger star than Lady Gaga to guest judge for Season 10 of the drag competition reality series. The interviewer assumed Ru was talking about Madonna. “I can’t saaay,” RuPaul responded, laughing with a little twinkle in his eye. Since the Drag Race queens were on Top Model, we’re going to guess that Ru was actually talking about Tyra. Now, that would be a supermodel episode with a whole lot of bass in its walk. America’s Next Top Model cycle 24 premieres Tuesday, Jan. 9 at 8 pm ET on VH1.